What are the trends in food for 2018? What are the trends in food for 2018? We are cooking up appetites for smarter, healthier, and environmentally friendly options. What matters most to millennials is the key focus for the food and beverage industry’s changing market. 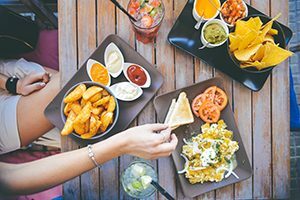 Millennials experience food differently than their senior generations did, largely because of the shift from married, suburban life to a growing majority of single, urban lifestyles. Time is money and the days of long outings to the grocery store with a pre-prepared and carefully thought-out shopping list, are over for many millennials today. For some, eating has become like another item on the checklist that must be handled with efficiency. The fast pace of life poses an unprecedented need for change in the food industry. Technology has revolutionized the way food is handled. Millennials have grown up in a world of rapidly developing technologies that constantly enhance our abilities to adjust to our evolving need for change. Now there are a staggering number of options for reaching people with food products thanks to services like UberEats, grocery drive thrus, and other order and delivery options. Technology is also responsible for the rise in demand for more healthy food choices. Consumers are much more aware of what they put in their bodies and how food impacts their lifestyles. With a generation of highly health conscious eaters, there is more need for focusing on what ingredients millennials are seeking at the store when they do find the time to plan ahead for meal. Plant-based Proteins– Alternatives to meat and a greater variety of options are taking over restaurants everywhere. Plant-based proteins like tempeh, quinoa, chia seeds, lentils, and mushrooms are high in nutrients and low in calories, making them ideal ingredients in just about any dish. Many meat alternatives have come a long way in actually looking and tasting more like meat. Both meat lovers and vegans alike can now get on board with these tasty options. Non Alcoholic Beverages– More and more millennials are trending away from alcohol and moving towards sobriety. They are attracted to the health benefits of reducing alcohol consumption, not to mention the mental health benefits and greater level of social satisfaction. Less sugar, less calories, and less energy for focusing on what matters most makes drinking less appealing to this generation. To meet this new need for creative beverage options, many people are delving into experimenting with mocktails and other specialty drinks. Farm to Table – home-grown and local produce ingredients are increasing in popularity. Consumers are attracted to environmentally conscious food sellers and are eager to support local farms and businesses. The convenience of locally-grown produce also contributes to the popularity in fermenting. Gut-Healthy Foods– digestive health awareness is leading to popularity in fermenting, pickling, or preserving vegetables. The good bacteria that comes from this process helps to promote a healthy digestive system. Kimchi, mangoes, yogurt, miso, coconut oil, and collagen proteins are some foods that are very gut-friendly. The Fourth Meal– digestive experts suggest that eating more meals (as many as 4-6) each day, but with smaller portions, is good for metabolism. The frequent eating keeps the digestive system busy at work and speeds up the rate at which the body can metabolize the energy it gets from food. This can also support the idea that short frequent breaks from work promote the brain’s ability to concentrate more effectively, and therefore work more efficiently. So eating smaller portions more frequently can actually boost your metabolism and productivity. This is just a small sample of what to expect in the trends in food for 2018. 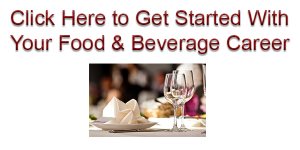 Want to know more about how you can educate yourself in all you need to know about the food and beverage industry? Get quality training from professionals in the field at Train4Less.com where you can expand your skills at your own pace at an affordable cost.